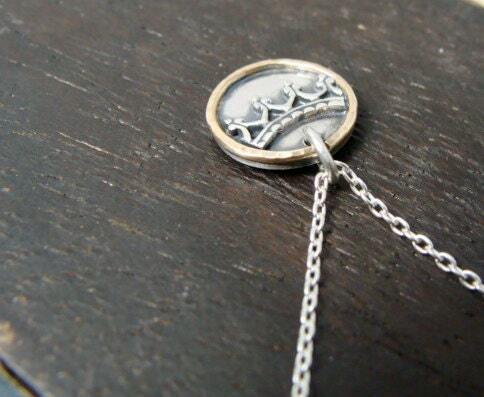 This petite silver pendant has been inlayed with delicate sterling crown like embellishment. The silver has been given a light patina to add contrast and give the metal a time worn look. A ring of 14k gold filled wire has a dimples texture to catch the light. Pretty, simple and perfect for everyday! Size ~ 1/2" in diameter. 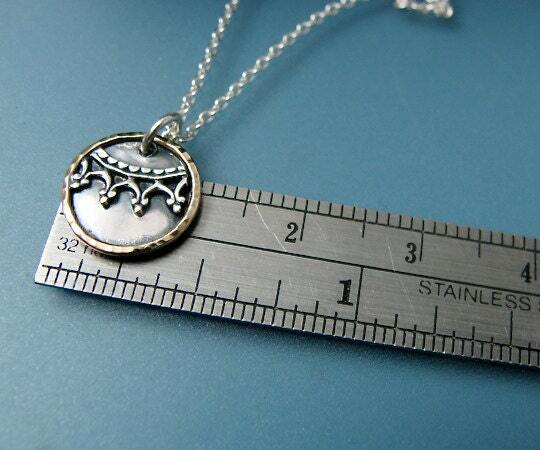 Modeled on an 18" sterling silver chain. 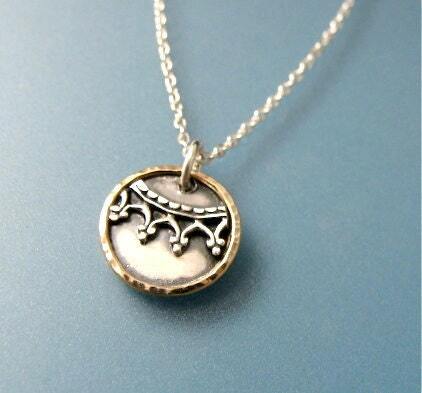 Each pendant made by hand, expect slight variation. 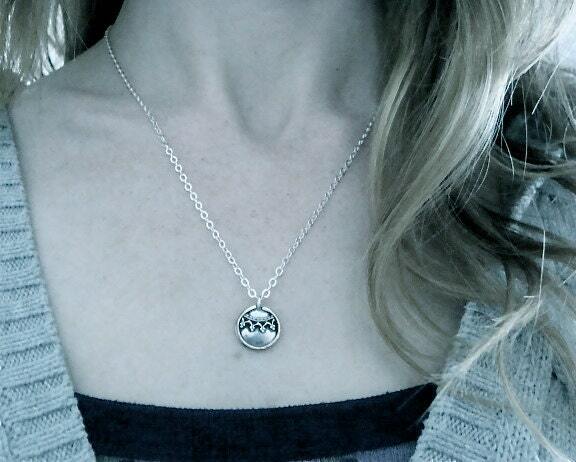 This necklace is beyond beautiful and now a fave to wear. Excellent quality and fantastic customer service. 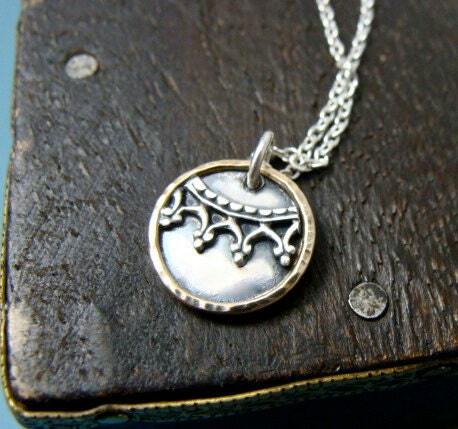 An absolutely lovely little pendant. Small and simple, with beautiful detail. The gold on silver creates a very striking effect. Masterful metalwork. I think this will be beautiful with the Prodigal Moon earrings. Great customer service, fast shipping and amazing jewelry. I just love this little necklace. Simple, love the two tone, with a bit of antique look.